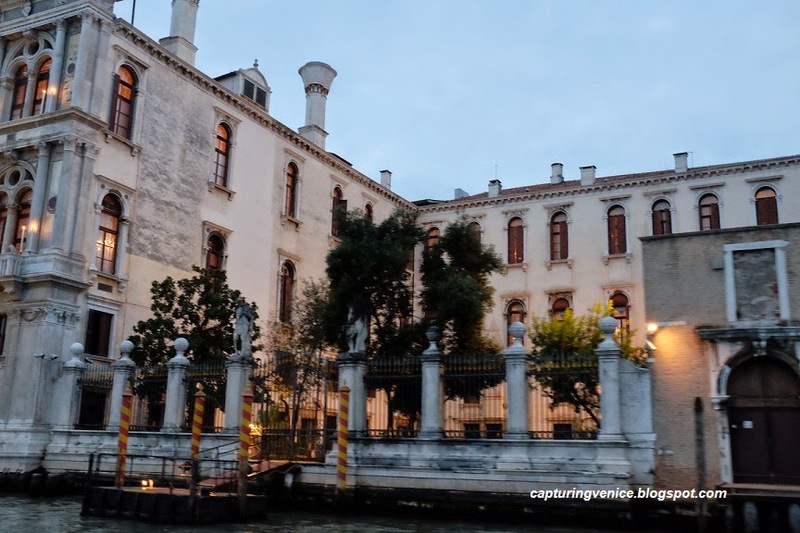 Today, I’m going to show you through Venice’s remaining scuole. In Venice, a system of charitable and religious institutions were formed from the early 13th-century. By the middle of the 16th century there were five more major Scuole – San Giovanni Evangelista, San Marco, Santa Maria della Misericordia, San Rocco and San Teodoro, as well as around 400 other smaller institutions that were united by membership of certain guilds or nationalities. All of the scuole provided financial and medical assistance to their members, offered a place for worship and provided support in times of emergency including plague epidemics. The paying members of the major Scuole came from the wealthiest trades and professionals (doctors, lawyers, civil servants) in the city, and the wealth of these major institutions is demonstrated by their rich architecture and sumptuous commissions of devotional artworks. Napoleon banned the scuole in 1806. Many of their treasures were dispersed (you saw some of them yesterday at the Accademia Gallery) and others were given new uses such as the city hospital. A small number of the scuole were revived in the 19th century – the Scuola San Giorgio degli Schiavoni and Scuola Grande di San Rocco now continue to function as charitable bodies in their magnificent head quarters, and the San Giovanni Evangelista was re-instituted in the 20th century. 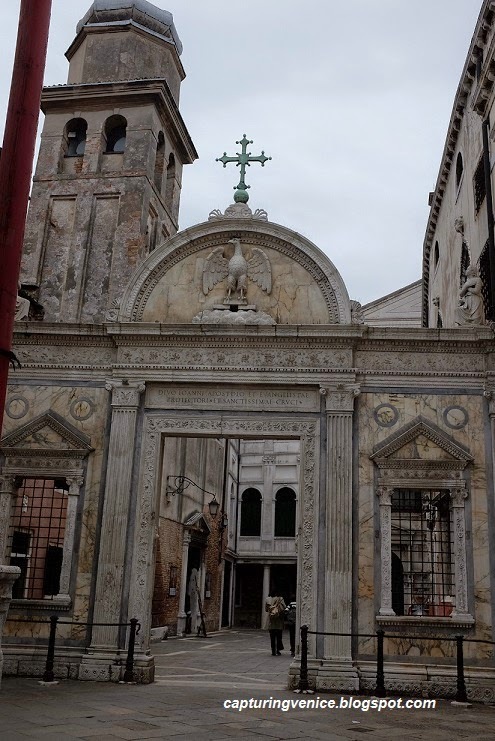 I recommend that you devote your fourth day in Venice to seeing the major scuole that are still open to the public, as well as monuments and nearby churches. You will be covering alot of ground today, and seeing a huge amount of magnificent artworks. Today’s proposed schedule is ambitious and demanding. I recommend that you have a hearty breakfast today and pack some snacks or plan to simply grab a quick snack somewhere so you can maximise your viewing hours. I promise that you’re in for a rare series of visual treats, and I promise that I’ll reward you with good wine and food at the end of the day. Arrive at 10am, when this small, unassuming building opens to the public to reveal an extraordinary series of paintings by Carpaccio. I’ve written about this scuola in a previous post, which you can read here. I hope you’ll walk away charmed and warmed by the humanity and beauty of Carpaccio’s work. Allow about 20-30 minutes here. Note that the Scuola di San Marco (now part of the city hospital) is about a 15 or 20-minute walk away from where you are now. I haven’t actually seen this place – it was conserved and re-opened just a few months after my last visit to Venice in late 2013. As you’ll be nearby in tomorrow’s itinerary, I recommend seeing this scuola on another day. Next, take a vaporetto San Toma and strike out into the heart of the San Polo district to find the Scuola di San Giovanni Evangelista which was re-established in 1929. You can admire the 1481 screen of the outdoor courtyard by Pietro Lombardo. You could if you wish, also go inside to see a relic of the ‘True Cross; in the first floor oratory. Allow about 10 minutes here. This is the magnificent Gothic church built by the Franciscans from the 14th century. The huge, bare brick exterior belies the beauty within. Please refer to your guidebook for a full description of the treasures within this church. My personal favourites are Titian’s Assumption on the high altar and Madonna di Ca’ Pesaro, the 15th century monks choir by Bartolomeo Bon and Pieto Lombardo, the strangely compelling and slightly frightening tomb of Doge Giovanni Pesaro and the pyramidal Mausoleum of Canova (1827) with its heartbreakingly sad grieving lion. There is so much beauty and interest in this one church. I’ve spent many happy, contemplative hours here wandering around, absorbed in Titian’s Assumption through a mass service or during one of the many concerts held here. I’m finding it hard to advise you how much time to allow here – an hour or a lifetime? 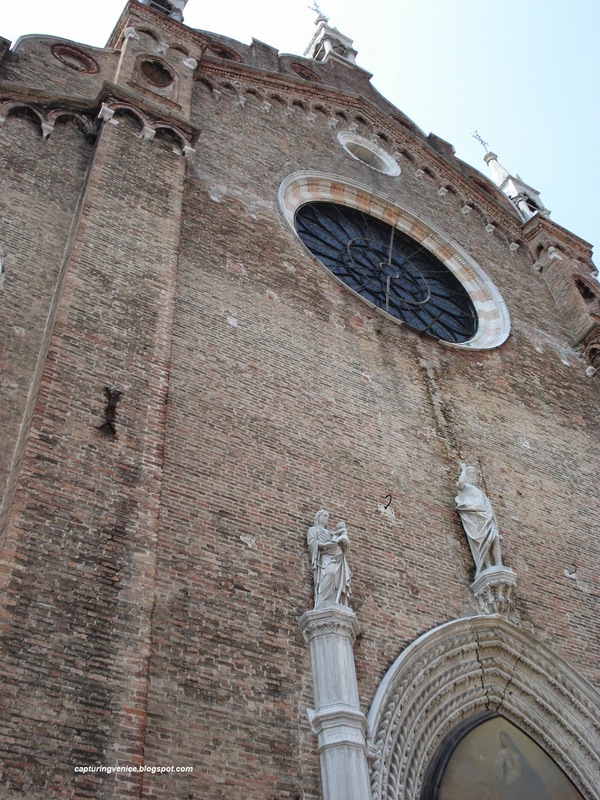 At some stage, you’ll have to tear yourself away from the Frari, and can you believe – even more astonishing things await you, just around the corner. As you approach Campo San Rocco, you will be greeted by two sumptuous, white facades. On your left, is the side of the Scuola Grande di San Rocco and directly ahead of you is the Chiesa di San Rocco. If you’ve never seen a painting by Tintoretto until now – you are in for wild ride. This Scuola was founded in 1478 and its patron saint is St Roch (Rocco) of Montpellier who left his home to work with victims of the plague. In 1483, San Rocco’s remains were brought from Germany to Venice, which resulted in a boom in donations to the scuola and allowed its elevation to the status of ‘Scuola Grande’. In 1527, Venice suffered a plague epidemic and the coffers of the scuola grande filled rapidly as the citizens of Venice sent in donations, in the hope of being protected from the ravages of the plague. The scuola’s social prestige and financial security were secured and the members soon embarked on a building project to create their present headquarters. In 1564, the scuola asked four artists – Salviati, Zuccari, Veronese and Tintoretto (1519 – 1594) – to submit sketches for the first painting for the building with the theme of The Glorification of San Rocco. Tintoretto sneakily won the competition – whilst his rivals presented their sketches, Tintoretto had painted an entire panel and persuaded someone to rig it up in the upper floor Sala dell’Albergo, in the place where the winning painting would be installed. Ta da! His painting was revealed and he offered it as a gift to the Scuola. A by-law of the Scuola stipulated that no gift could be rejected – and Tintoretto won the competition. He completed the other decorations of the same ceiling for free. What you see around you is the most comprehensive collection of work by Tintoretto in the world. In November 1577, he offered to provide the Scuola with three paintings per annum for 100 ducats - today, you can see 52 paintings by Tintoretto around you. The scuola provides large mirrors to help you as you walk around the upper floor marvelling at Tintoretto’s wildly emotional paintings. I always really love the trompe l’oeil library carved into the wood of the walls by Francesco Pianta in the 17th century. Displayed on easels at the front of the room are some works by Titian and Tiepolo, and you can also climb to the top floor to see the scuola’s treasury of gold and silver devotional and liturgical objects. As you exit the Scuola, stop for a moment to look around the salmon pink walls of the Scuola and the serenity of the canal. This is one of my most special places in Venice, and John Singer Sargent loved it too. I hope you’ve not yet had your fill of Tintoretto. Right next door to the scuola is the Church of San Rocco where you can see another six of his paintings. I think it will be around 2.30pm and I think you need some sugar and caffeine. Pop into the nearby Tonolo pasticceria in the Crosera San Pantalon (it’s just a couple of minutes away and on our way to the next destination) for an astonishingly excellent coffee and pastry. Keep walking to Campo San Pantalon, cross the bridge into Campo Santa Margherita and walk through to its south-west end to the Scuola Grande dei Carmini. You will want to be distracted by gelato, by the many bars and cafes, by the best takeaway pizza place in Venice. KEEP GOING. I promise you your fill of goodies later. I bet you’re feeling tired, maybe a bit grumpy, and definitely foot sore by now. Well, climb the stairs to the top floor of this scuola to take relief in Tiepolo’s lovely ceiling panel showing Simon Stock receiving the scapular, painted for the Carmelites in the 1740s. Next, walk along the edge of Campo Santa Margherita, find the gelato shop Il Doge (it’s immediately opposite the supermarket) and get yourself a big scoop of ice-cream. You jolly well deserve it. You’ve been so patient and you’ve done so much already. Enjoy your hit of sugar because there’s more to come. Next, you’ll walk across the Ponte dei Pugni (Bridge of the Fists) where you’ll find marble footprints showing the starting positions for fights that used to take place. The traditional brawls were banned in 1705. Alongside the Ponte dei Pugni is the famous vegetable boat. 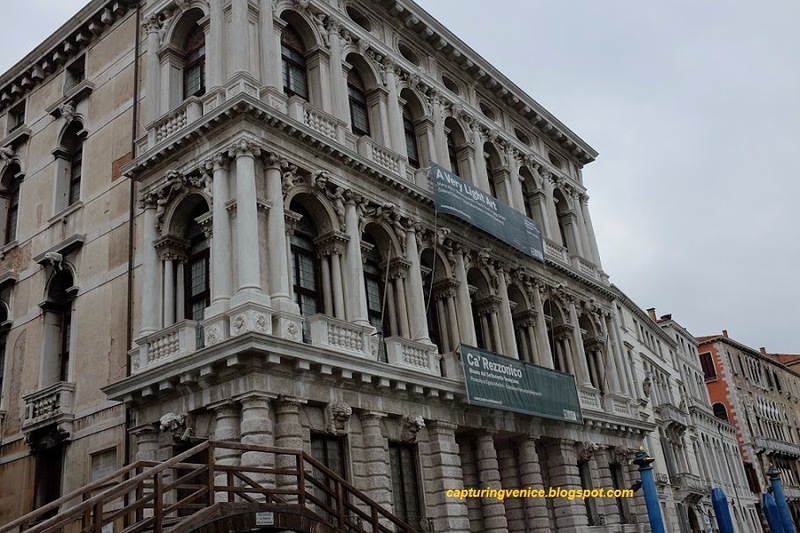 Your final stop for the day is the museum of the eighteenth-century Venice, Ca’ Rezzonico. This museum will give you a fantastic sense of what an 18th century palazzo interior would have looked like, and its collection highlights some fascinating objects and paintings from that era. OK, I promised you some great wine and food tonight. If you liked the look of Campo Santa Margherita, head back there. By evening, it will be full of students and young families enjoying drinks and food in its many bars, pizzerie and osterie. I would start at the little bar on the campo San Pantalon side of the campo for a drink and a snack. You could then carry onto Caffe Rosso for more drinks and snacks, finishing at one of the restaurants, pizzerie or cafes for your meal. My personal pick is Osteria alla Bifora on the Carmini side of the campo. If you didn’t go to Il Doge earlier for gelato, now’s your chance. If you’d like to see something different, and are prepared to pay just a little bit extra for your meal, you could try one of the many restaurants that line the Calle Lunga San Barnaba, which is on the other side of the canal from Ca’ Rezzonico. My picks here would be: Ai Quattro Ferri, La Bitta or Pane, Vino e San Daniele which is now part of a chain. The gelato chain, Grom is right near the church. You could also duck under the sottoportego leading out of Campo San Barnaba to find several more restaurants on the Fondamente della Toletta including the long-standing Ai Artisti. To round off your evening, if I were with you, I’d take you on a vaporetto ride up or down the Grand Canal from the stop at Ca’ Rezzonico to enjoy looking up from the water at the palazzi lit up at night.